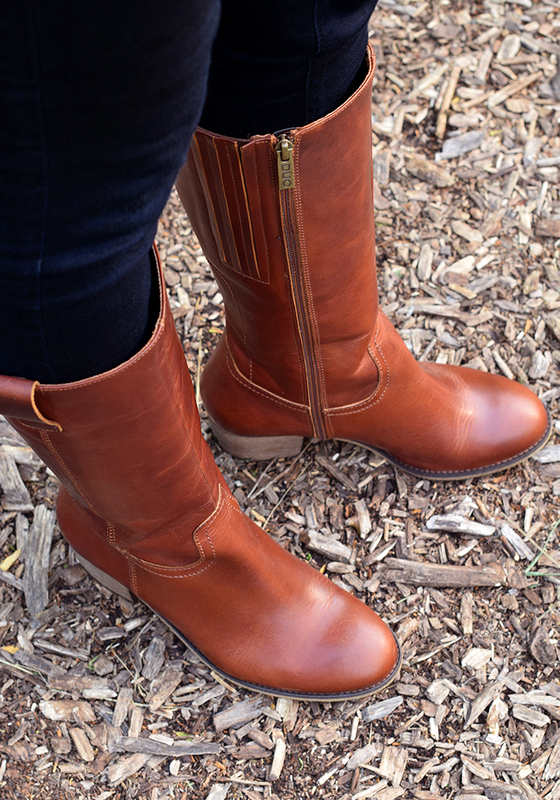 Today, I joining a few ladies from The Blended Blog to share how to transition boots from summer to fall. I got these shorter riding boots this past spring. I like the cognac color and how it pairs well with black and cream. I wore them in the spring/summer mostly with jeans and a tank. This fall I have worn them a couple of times with my plaid poncho and my cable knit sweater. This tank is great for layering under sweaters. I picked it up in red and yellow, in addition to the cream. Another way to transition into fall is with color. I love burgundy for fall and mustard yellow. Or, the seventies are back - and a big trend for fall with flare denim. I wrote this the other day - and I shared it with a dear friend of mine who has been struggling. I wanted to share it with you, too, for all of us who struggle with fear. I have mentioned fear before - as I talked about it last week. So, I hope you find this uplifting and helpful. "Fear cripples me sometimes. Sometimes I get an overwhelming pit in my stomach thinking that something is wrong - or what if something bad happens? I have always been a bit of a worrier; but, as I have gotten older, it has gotten worse. Some days I wake up with this overwhelmingly anxious feeling. I know that fear is not of God, and that God cares for me. I am His precious child. He will protect me. (Psalm 27:1) There is not a moment that goes by that God is not fully aware of my situation and my needs. (Matthew 6:26-34) He loves me unconditionally, and wants the best for me. He will not leave me stranded or alone, and I can fully rest in this assurance. So, I pray that today that I may rest in His peace, and because of Him I will not be crippled by fear." As I mentioned earlier, I am joining the women of The Blended Blog for a "blog hop" to share how to transition to fall. 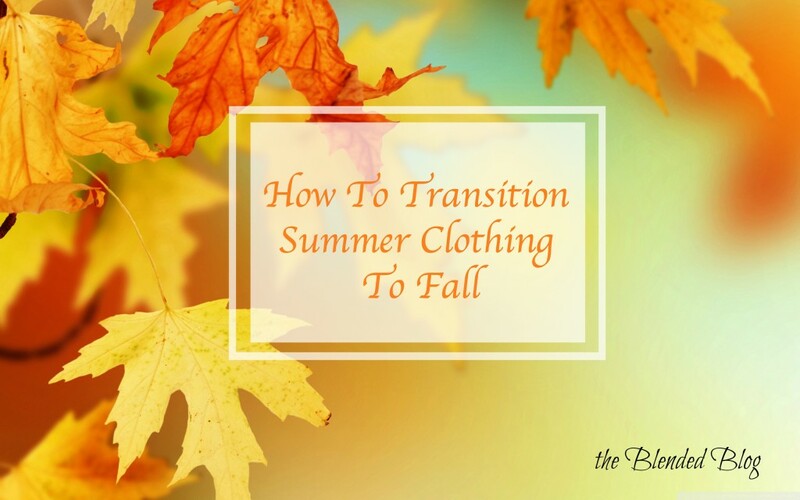 So, next, be sure to "hop" over and check out Karen from She Though She Could where she is talking about how to transition a lace tank. And, after Karen is Carrie from A Lovely Little Wardrobe talking about shorts. Be sure to stop back on Wednesday for a chance to win a new gold Mac laptop! Really love your boots, the color is gorgeous! Fear can be so hard to deal with. Great words of motivation. Love your transitional outfits! 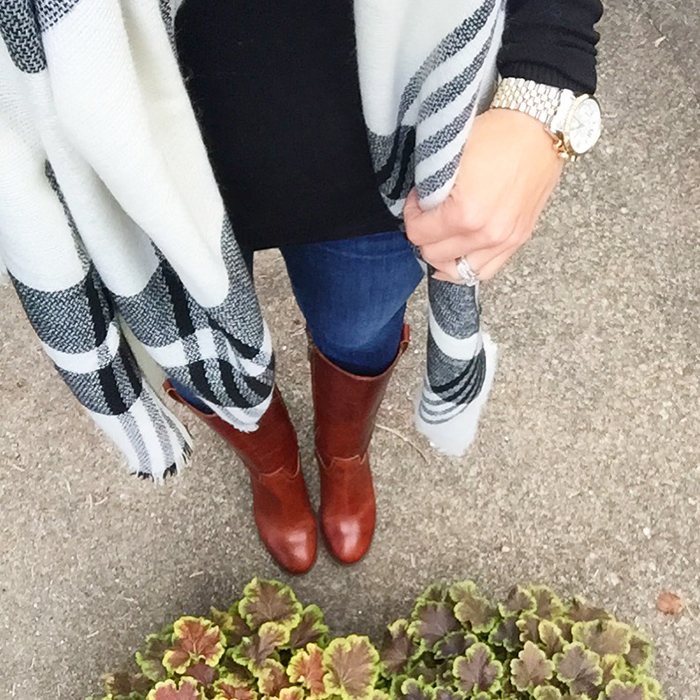 I didn't know how much I would wear riding boots - but I love them! Thanks, Linda. I love the shade of those brown boots! Great post! those boots aare amazing, i have a weakness for rad boots. Your boot color is gorgeous. I love the fall colors you chose. Beautiful looks! Thank you for the THought of the Day. I really needed it today. Thanks, Lana. I am glad that helped you today. It's getting to cold for a tank here too! Thanks, Shaunacey! You have the best style! Makes me just want to venture into your closet...oh and maybe just be you for at least a day! You are too sweet - thanks, Carrie! Those really are great boots. The color is so rich. And love the way you styled them for transitioning. Sweet, sweet friend. I hate that you struggle with fear but appreciate how wise you are to realize the root of that anxiety. Your message is as beautiful as you are. May God bring you comfort and peace. There are times at night that I lie awake wondering why I can't fall asleep and then I realize I am tied in knots. My hands are in fists, my teeth are clenched, my arms and legs are rigid. NO WONDER I am wide awake. Many times just saying the Lord's Prayer helps me to relax and remember Who's got my back! Then I am asleep in minutes. Thank you, sweet friend! I like your advice of the Lord's Prayer - that is a great idea! I think you are very fashionable and glad to have you hang with us. What great boots! I don't have any in cognac (yet). Good word on fear. There are so many times that God tells us to fear not in his word! Thanks, Sheila! You are so right. Lisa your Fall looks are so on point! Need a new pair of brown boots in my life lol. Love the ones you're wearing! Thanks so much! These boots got me out of my comfort of always wearing black boots. What an elegant pair of boots! I wish I could wear such light layers like you during this time of the year. It's freezing cold here where I live. Wonderful style! I love it! Loving the looks and I agree, burgundy and mustard yellow are perfect for fall! I hope you're having an amazing day, beauty! Great boots! 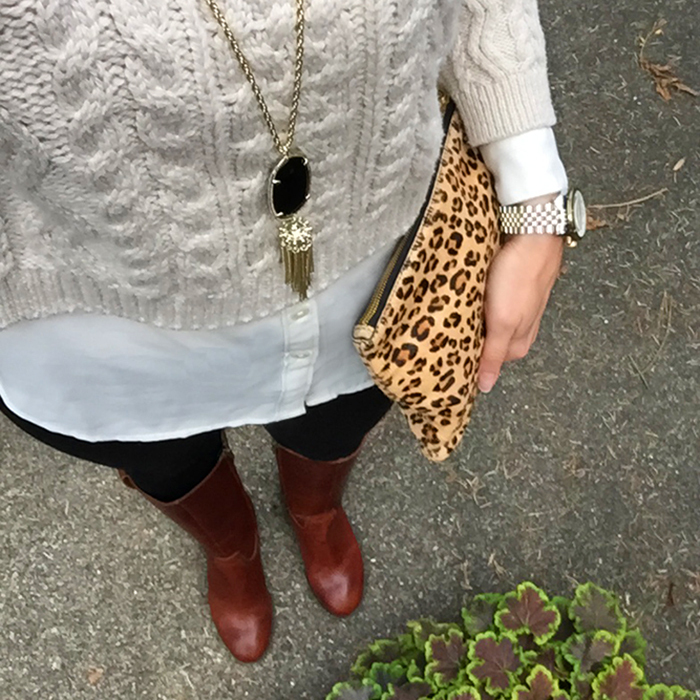 I totally agree that a great way to transition is adding boots and layers. You're so right that color is a good way too. You can wear lighter items but the color still looks fall. So many great looks! Love the boots! Those boots are gorgeous! I admire your ability to face fear head on in such an eloquent way. I think as adults we all face fear everyday. I think you are handling it with exceptional grace. Love all these looks and those boots are such a classic! Thanks for sharing your thoughts on fear Lisa, I can completely relate to everything you wrote and I too have been struggling with fear these past few months so this was really a message I needed to hear! Great transition! I am so ready for fall!!! These are great boots! Love the fall look.